When you need fast roadside assistance service in Iowa, Superior Towing is the company to call. We provide a wide range of roadside assistance service to anyone who needs help that concern their car. With almost a decade of experience in the industry, we are fully equipped to provide our services. We make it sure that our team of technicians is certified and licensed to handle car problems that affect your vehicle. If you find yourself stranded in the middle of the road, do not allow one simple car issue ruins your day. 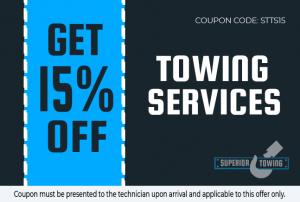 Learn more about the services we offer at Superior Towing! For safe and fast winch out service, call Superior Towing right away. We can pull your vehicle from the snow, sand or mud. You are assured that our service is reliable as compared to other companies. With our team of technicians who are expert in the industry, we promise to deliver service under the most difficult weather conditions. Before you give us a call, we suggest that you analyze the whole situation. Let us know all the pertinent information regarding your situation. That is the time that we will bring the right equipment and tools to get your vehicle out effectively. 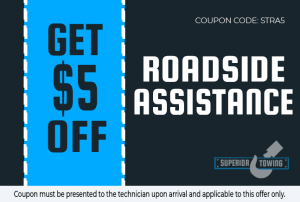 Allow us to deliver the best roadside assistance service in Iowa. Call Superior Towing now! Never allow a minor car issue affects your day. Call us today and obtain our dependable and affordable jumpstart service in Iowa]. Especially if your car battery is weak or dead, you can put your confidence in us because we have the right equipment and the right people. We can assist you with your issue. 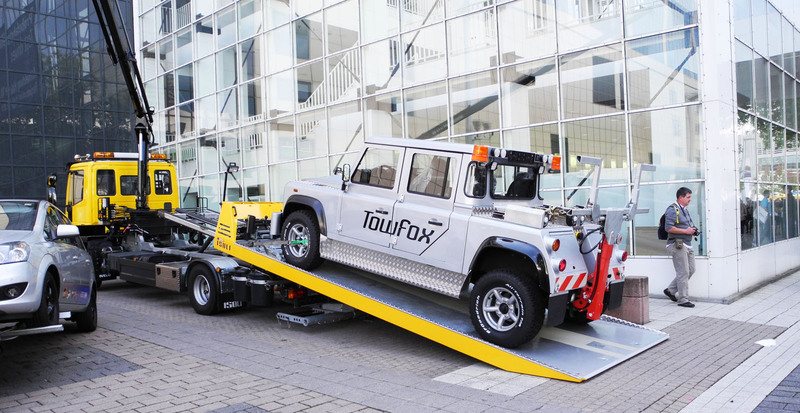 Just wait until our team of towing drivers gets your vehicle back on the road. Car lockouts are a common experience to a lot of people. There are reasons why you may be locked out of your vehicle. In the event that you have lost your car keys, you can count on us at Superior Towing for assistance. You only need to rely on our roadside assistance team whenever and wherever you need us. Troubles on the road are sometimes beyond your control. In the event that you want us to resolve your car issues, get in touch with our customer service team. We have our towing drivers ready to be deployed for the best roadside assistance service in Iowa! You may think that it’s uncommon, but car lockouts can often occur. There are many reasons you may be locked out of your car, but the most common ones are because of lost car keys. No matter what the reason may be, we can help you with it. When your car battery is already drained out, call towing Des Moines IA right away. Although jumpstarting a car battery is so easy to do, if you don’t have the right tools or another person to help you, it can be difficult thats why we will help you with it.